I have found these resources helpful as a beginning soaper. Smart Soapmaking by Anne L. Watson: After reading a few books, I’m convinced this book should be in every soap maker’s library. Anne dispels common myths and shares a lot of recipes, whereas most books only share variations on the same recipe. She is also kind enough to answer questions on her website. 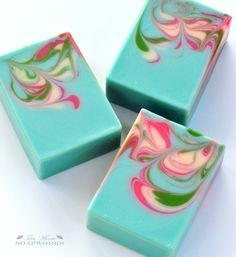 Milk Soapmaking by Anne L. Watson: This book is the best resource I’ve ever seen on making soap with milks and has tons of milk-based soap recipes. Basic Soap Making by Elizabeth Letcavage and Patsy Buck: This book is an excellent step-by-step introduction to soap-making with great pictures and several basic soap recipes. A must-have. 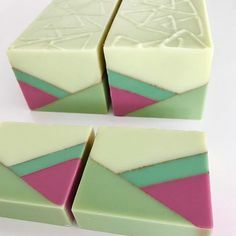 Soap Crafting: Step-by-Step Techniques for Making 31 Unique Cold-Process Soaps by Anne-Marie Faiola: Anne-Marie has been making soap since she was a teenager and runs the well-respected supplier Bramble Berry. As you might expect, these recipes use Bramble Berry products, but Anne-Marie includes a wide variety with lots of pictures and step-by-step directions. A must-have! The Natural Soap Chef by Heidi Corley Barto: Very creative recipes. Inspirational! Lots of recipes use purées, and Heidi doesn’t gel her soaps, so your results might be different from hers if you do. The Everything Soapmaking Book by Alicia Grosso: Another great beginners’ book. No pictures, but the information is great, and she covers ground (like packaging, gifting, and selling) that other writers neglect. Soap Mold Central: I bought some good molds from this store via eBay, and I’ve been very happy with them. SoapCalc: Widely respected among soapers, this flexible and comprehensive lye calculator will allow you to control all kinds of aspects of creating your soap recipe as well as give you valuable information about how your soap will turn out. In my opinion, the best lye calculator available (and free!). Bramble Berry’s Lye Calculator: This calculator works well and offers many options. Bramble Berry’s Fragrance Calculator: How much essential oil or fragrance oil do you need to use? This calculator figures it out for you. I find this calculator helpful even if I’m not using Bramble Berry fragrances. Oil Calculator: How much oil do you need for your mold? Fragrance Calculator: How much essential oil do you need to use? This calculator figures it out for you. Pinterest: Other folks’ pins are an excellent source for new recipes.